Whoa! Lucasfilm just dropped some huge news regarding several future Star Wars films! 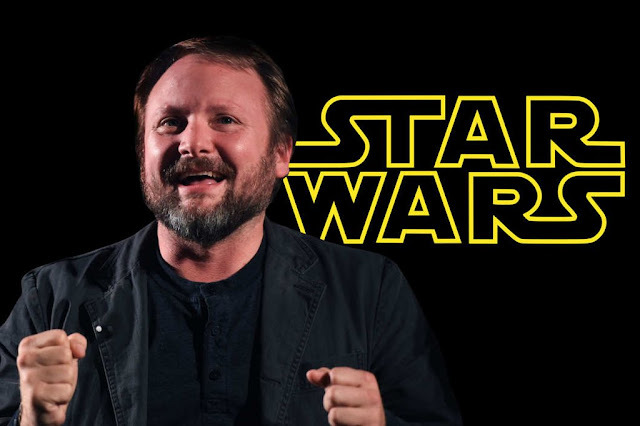 According to StarWars.com, Rian Johnson, who wrote and directed this year's Star Wars: The Last Jedi, is returning to that galaxy far, far away to launch a brand new standalone Star Wars film trilogy. This new trio of films will be completely separate from the numbered films of the Skywalker Saga and, as StarWars.com explains, "will introduce new characters from a corner of the galaxy that Star Wars lore has never before explored." No further details were given at this time. We can only speculate what stories and characters these new films will center on, or even when they will be released. Nevertheless, this is incredibly exciting! Star Wars Voyager... Star Wars the Next Generation... Star Wars Discovery! Be careful of spin offs into uncharted territory with all new characters. It can turn fans off completely when the series' Bible is not adhered to, when familiar props show up in incorrect situations, and when the writers try to force change without allowing it to be natural. I wish you the best in creating the new series. But we both know it will make billions in profits yearly for all foreseeable decades. Probably going to $uck@$$ big time.